The Forever Girl is a full-length Paranormal Fantasy novel that will appeal to lovers of paranormal romance, urban fantasy, witches, vampire fiction, ghost stories, paranormal mystery, and paranormal horror. 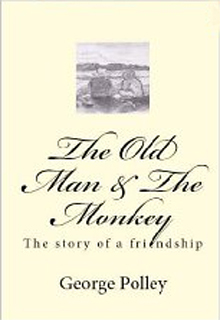 The Old Man & The Monkey' is a stunningly beautiful story of a relationship which develops between an old man and a creature which is regarded as a dangerous pest in Japan, a snow monkey, in George Polley's moving allegory of dignity in the face of racism. Some aspiring musicians wait a lifetime for that elusive record deal. Bryan Rivers waited three days longer. As if dealing with the suicide of her clinically depressed husband wasn’t difficult enough, to Claire Rivers’ amazement one of the biggest record companies in the country suddenly wants to offer him a contract. When his ‘status’ is viewed as only a minor inconvenience, she begins to wonder if someone, somewhere, is playing a very distasteful joke on her. 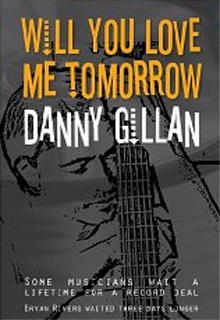 Set in 2006, Will You Love Me Tomorrow is a comedy about death, depression, grief, loss, friendship, family, haircuts and the music business. It is astonishing that anyone lived this story. It is even more astonishing that anyone survived it. Stefan grows up in the grip of a raging famine. Stalin’s Five Year Plan brings genocide to Ukraine – millions of people starve to death. To free themselves from the daily terrors of Soviet rule, Stefan and his friends fight imaginary battles in nearby woods to defend their land. The games they play are their only escape. ‘Sliding on the Snow Stone’ is the true story of Stefan's extraordinary journey across a landscape of hunger, fear and devastating loss. With Europe on the brink of World War Two, Stefan and his family pray they'll survive in their uncertain world. They long to be free. (In 1932-33, as part of their drive towards industrialization, the Soviet Union demanded impossibly high requisitions of grain from rural areas in Ukraine. In a deliberate act of genocide, Ukrainian smallholdings were stripped of food, and the population began to perish, with some estimates as high as 10 million deaths, from starvation. In Ukraine, this atrocity became known as the Holodomor (death by hunger). The following years saw Soviet purges and terrors resulting in the elimination of academics and intellectuals, or of anyone who spoke out against Soviet rule. When World War Two arrived on Ukraine’s doorstep, many people viewed the Nazis as liberators – a view that was quickly proved wrong. ‘Sliding on the Snow Stone’ is Stefan’s personal account of a historical period drenched in the blood of a nation, and of his yearning for freedom). June called down the moon to find her one true love. A motorcycle from hell dumped Eric on her doorstep. An accountant for a failing company, June will do anything to find true love. 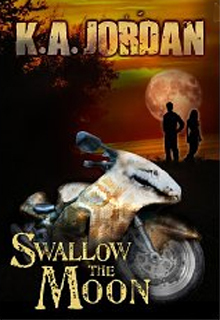 In a Wiccan summoning ceremony, she swallows the moon in an effort to find her soul mate. What she gets is Ohio National Guardsman Eric Macmillan, who owns a cursed Suzuki Hayabusa and two spirits: DEA agent Jake the Snake, and the malevolent Cora Cobra. Back from Afghanistan, divorced and un-employed, Eric is the third owner of a Suzuki Hayabusa. The other owners are dead, just not departed. He's looking for the artist who created 'Cora's' snake-inspired paint job. When Eric arrives at the scene of Jake's last sting, on a one-of-a-kind motorcycle, all hell breaks loose – someone tries to kill him. Van Man Go is the world's greatest airbrush artist. He will repaint Eric's Hayabusa, for the usual price. Like Cora Cobra and Jake the Snake, Eric must put his soul up for collateral. 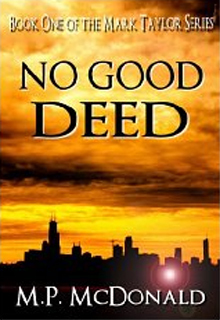 Cora and Jake failed to pay their debts, now there is Hell to pay. Care to take a ride on the Hayabusa from Hell?